Article: Baseball Legend, The Prolific Derek Jeter Gets Honored With The “Legend Award” At Nickelodeon’s Kids’ Choice Sports! * Take me out to the ballgame! * Whether you play / watch baseball or not, everyone, everywhere knows baseball legend, the incredible: Derek Jeter. 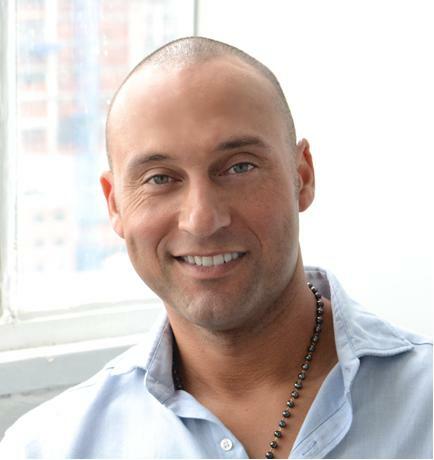 The remarkable and outstanding, former New York Yankees player, Derek Jeter is known for his unprecedented accomplishments both on and off the baseball field. In addition to being one gifted and admirable athlete, he also is a New York Times best-selling author, an entrepreneur, and a great role model to all athletes and everyone in general. Adding to all of his awe-inspiring and terrific accomplishments, Derek Jeter can add the extreme honor of being presented the “Legend Award” at this year’s prestigious Nickelodeon Kids’ Choice Sports Awards. According to the press release, “The Legend Award honors athletes who are the ultimate role models to kids across the globe, inspiring generations year after year. Last year, worldwide superstar David Beckham was presented with the first Legend Award, and celebrated by being doused in golden slime with his kids.”. Derek Jeter truly deserves the Nickelodeon Kids’ Choice Sports “Legend Award”. The Nickelodeon Kids’ Choice Sports will be one legendary and unforgettable award show and it will be hosted by none other than the magnificent and phenomenal, Seattle Seahawks quarterback: Russell Wilson! The epic and slime-filled Nickelodeon Kids’ Choice Sports will be returning with its second year on July 16th at the Pauley Pavilion in Los Angeles. Nickelodeon is always known for creating masterpieces from their superb TV shows to their renowned award shows. The Nickelodeon Kids’ Choice Sports will be bringing sports fans everything they want to see – sports fans will be able to vote for their favorites to see them take home a coveted mohawked blimp trophy. Fans can head on over to Nick.com/sports to get their ultimate Nickelodeon Kids’ Choice Sports experience by watching videos, looking at the awesome photo galleries, taking quizzes and more! Get your head in the game and tune in on July 16th at 8:00 PM ET to watch the Kids’ Choice Sports and also head on over to Nick.com and the Nick App to get your court-side seats to the award show! Fans will also be able to be a part of a live vote which will determine how the award show goes! Next Article: The Merrell Twins’ Stellar Cover Of “Bright” Will Leave You Mesmerized! Watch Here!